The BIG I, one of the professional organizations our agency maintains a membership with has published a reminder to homeowners & sponsors of Thanksgiving parties or gatherings. They advise that as millions of Americans host and attend Thanksgiving dinners this Thursday; Many may be unaware of the risks. We advise our clients to consider the risk of being held liable if a guest gets food poisoning or drives home drunk? 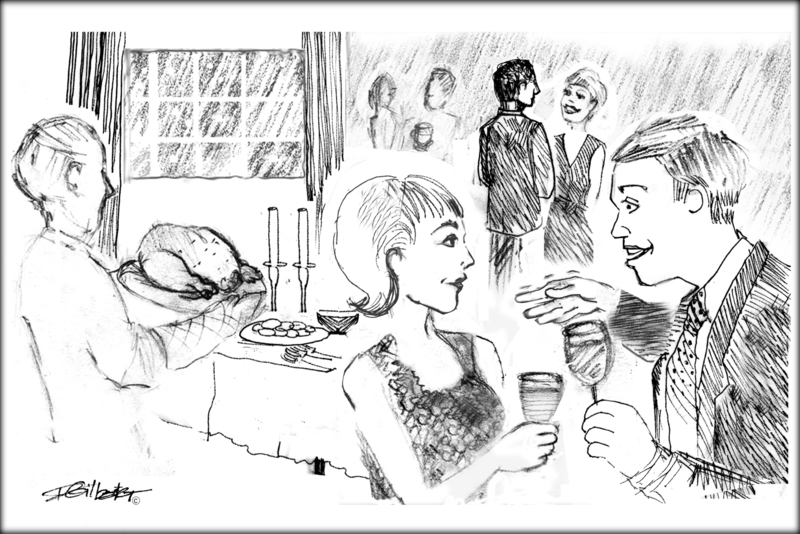 Party hosts need to understand their responsibilities when inviting others into their homes and serving food and drinks. “All hosts should be aware that if someone drives drunk or becomes sick after consuming food at a holiday party, the host could actually be liable,” says Robert A. Rusbuldt, Big “I” president & CEO. “In fact, a casserole could bring just as many risks as a cocktail. Party Elsewhere: Host your party at a restaurant or bar that has a liquor license, rather than in a home or office to decrease your liability. Know Your State Laws and Statutes: In many states, party hosts can be held liable if a guest is involved in an alcohol-related accident. Many courts have found hosts liable for damages their party guests cause as a result of consuming alcohol and then driving motor vehicles. Many states have also enacted statutes that can be interpreted as mandating non-commercial social host liability. So, if a guest or third party is injured in an accident that is related to alcohol consumption and the drinking can be linked to you, you could be held responsible for the payment of medical bills, vehicle repair costs, lost time from work and – in the worst case – claims for wrongful death resulting in huge monetary settlements. Consider an Umbrella Policy: While holiday partygoers and hosts alike should act responsibly and know their limits, consumers need to acknowledge that most risks cannot be entirely eliminated. But planning ahead and learning about what’s involved in hosting a reception is the best defense. Purchasing a personal “umbrella” liability policy – providing $1 million or more in additional coverage over the limit of a standard homeowners or renters policy – may be a prudent move for the frequent party host. Thanksgiving dinner or even a neighborhood holiday potluck could have disastrous results for the host if someone is stricken with food-poisoning, Whether the food served came from your kitchen, a fancy caterer, or a Chinese restaurant down the street, if you serve it, you could be liable if anyone gets sick. We hope this is helpful. Please remember that if we are your current agent and you have a potential issue, please call our main number immediately at 800-233-6428 & leave a voice mail if after hours. We will call you back shortly.